Blocking and/or screening from corners and set-pieces is a way to generate space in the box which should grant either the first-time shot or create an aerial advantage in your favour, but when should you use it and what is it? Blocking is when, from an attacking set-piece, you place 2 players directly next to each other in and around the penalty area against teams that primarily man-mark. One of these players is labelled the blocker, one is the runner. As we’re facing a team that man-marks, both of these players are then marked, it is the blockers job to delay the runners marker by whatever means necessary – that could be by positioning himself in between the runner and his marker giving the runner a crucial second or 2 to make his run, by giving the marker a quick grab of the arm to hinder his run. Whilst technically a foul, the referee will simply have too much going on to see it clearly or may deem it too soft to give. 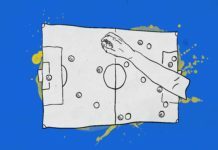 It’s also worth noting that England often used this technique at the World Cup and it went unpunished – even with VAR added into the mix – so chances are you’ll get away with it! 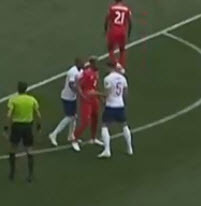 John Stones (#5) and Ashley Young (#18) are on the edge of the box for a corner against Panama, Ashley Young doesn’t have a man-marker assigned (not that it makes much of a difference!) so that allows him to get in a superb position to block Stones marker. 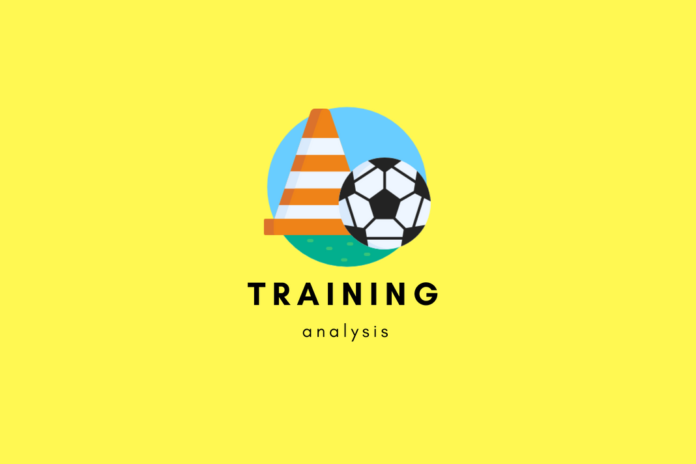 Depending on the routine used, it can take the gamble out of the delivery meaning it can be adapted for any level of play – even down to grassroots level. Again depending on the routine used, it doesn’t rely on physical presence, so if your team is physically smaller than the other team, the advantage is still in your favour. The routines are generally carefully choreographed which should cause confusion in the opponent, whilst your players have a clear task that each needs to complete. Depending on the level you coach/play at, there won’t be much analysis needed meaning it’s again suited for pretty much every level of the game. For instance, at grassroots level (even up to National League level) every single team will operate with a man-marking system. We now understand the basics of blocking, so now we come to the fun bit, creating routines to coach and ultimately put into practice on match-day. Identify whether you want to create a header or a first time shot along the ground. Choose the players to be involved – not only the runner and the blocker but the other players in the area as well. Practice! It hopefully won’t take long for your players to understand the basics of blocking, which will open up a whole world of potential routines to use, but they still need practice. Players need to be 100% sure of their role in each routine and have rehearsed it at least a few times to get the movement and timing right. Players gather in the penalty area. Players make runs to the front and back-post creating space around the penalty spot. Ashley Young (#18) blocks John Stones (#5) marker allowing a free run and header at goal. Player A makes a run to receive the short, dragging his marker with him. The kick taker plays the ball to him and player A returns the pass. Players B + C make a run to the near post – creating space on the penalty spot. Player D makes a run to the now empty penalty spot and receives the pass from the corner taker and takes a shot. Players marked A take up a position towards the back of the penalty area – creating a large area at the front post to attack. Player C blocks the run of Player Ds marker, allowing him a free run and a first time shot on goal. 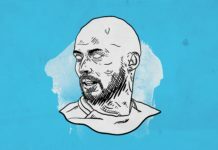 For more on Midjtylland’s inventive set-pieces, take a look at my analysis of their set-piece goals from the 17/18 season here and here. Hopefully, now you understand the basics of blocking and can come up with your own routines that utilise this very useful skill. I’d love to see the routines you make or put into action so contact me at @from_the_wing on Twitter with videos/pictures of your routines!